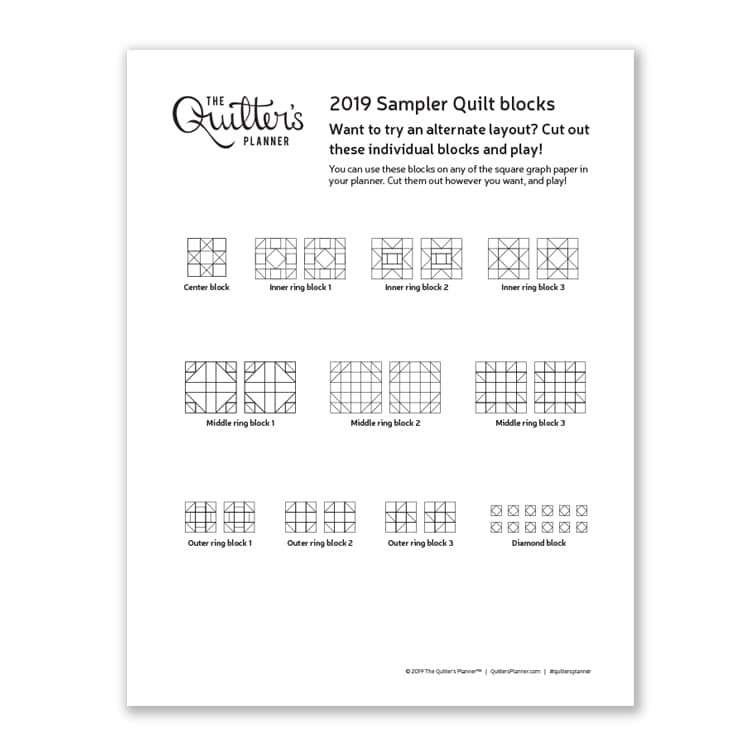 We’re hoping you’ll join us as we sew the 2019 QP Sampler Quilt Block of the Month (BOM) pattern. Check out our Facebook group and Instagram for tips for sewing a beautiful sampler quilt. You can get support and help along the way by asking our QP experts and group members. You can join in at any point during the year. It’s never too late! 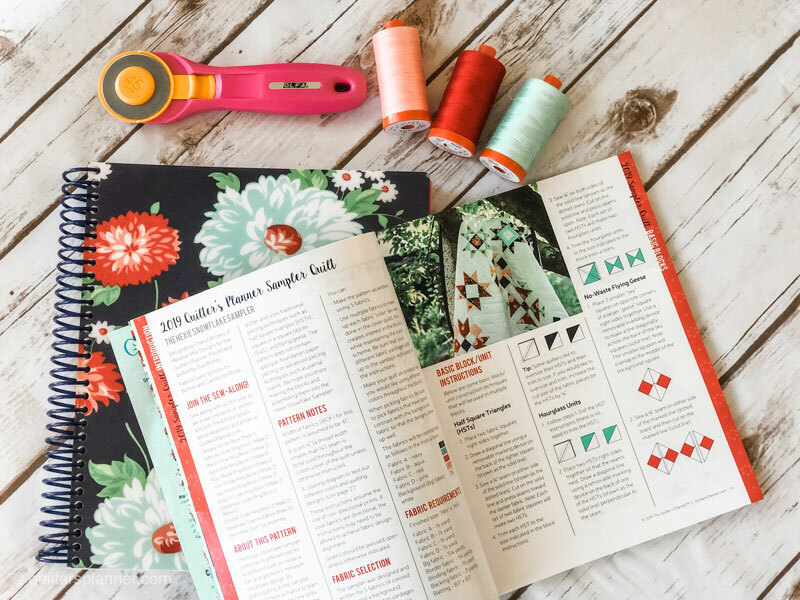 All you need to participate in our BOM sew-along is your copy of the 2019 Quilter’s Planner and the accompanying pattern magazine. 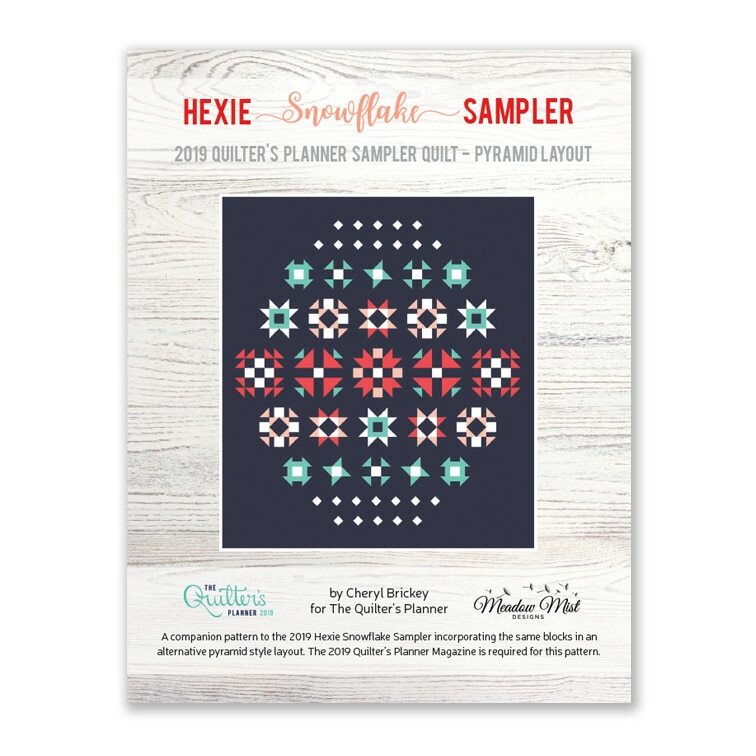 There’s a coloring page for the Hexie Snowflake Sampler quilt on page 27 in the Quilter’s Planner Companion Magazine. We are also offering an alternate layout for the quilt, so that you can create a quilt that fits your style (see below for the download). 2. Photocopy or download the coloring pages, print them out, and begin coloring them in to try out different color choices. Choose your favorite! 3. Select fabrics! The fabric requirements are located in the magazine on p. 14. 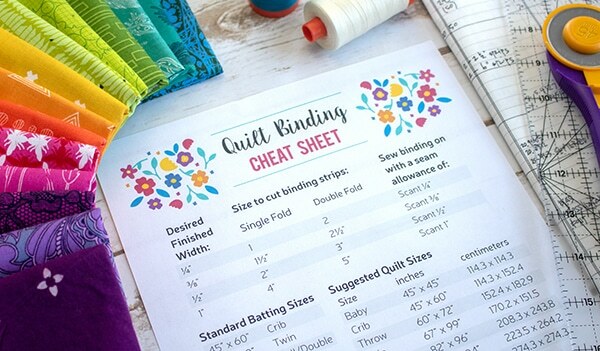 Everything you need to know about sewing the sampler quilt is in the Quilter’s Planner 2019 Companion Magazine! 4. Join the community! 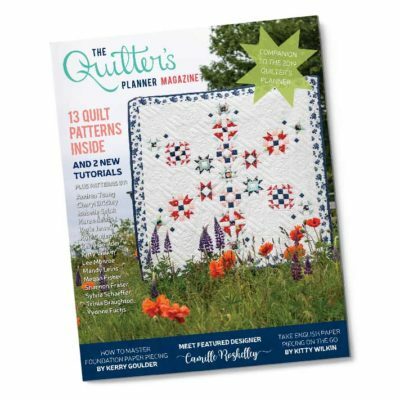 Follow @thequiltersplanner and on Instagram or join our Facebook group (linked here) to join a community of makers. We will be sharing tips, encouragement, and excitement (and prizes!) and are looking forward to sewing along with you. We will sew a set block or blocks per month, and you will post a picture of your block(s), using the hashtag #QP2019sewalong on Instagram or in our Facebook Group. Each month you post a picture of your block, you will be entered to win fabulous quilting prizes. 5. Finally, spread the word! Sewing with friends across the country is so much fun. Share a photo of your coloring pages, fabric pull, or just your Planner, Magazine and excitement and help spread the word! The community that grows around a year-long Sew Along is part of the fun, and the more the merrier! 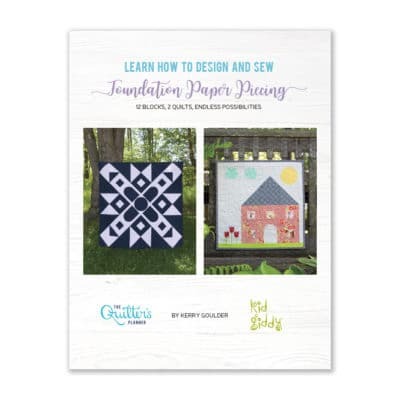 Be sure to tag #quiltersplanner and @thequiltersplanner when sharing on Instagram so that we can be sure to see your fabulous progress. This year we are offering a FREE alternate layout for the Sampler Quilt so that you can choose the layout that most speaks to you. All of the block instructions are the same, and the information about how many blocks are needed are included in the free downloadable (see button below to download). Choose your layout and colors, and enjoy some quiet, relaxing coloring time, to see how well your selections play together in your quilt design. Want to create your own custom layout? Down this pdf with individual blocks sized perfectly to fit on any graph paper page in the Quilter’s Planner. You can cut out each block and attach to a Project Planning page in your Quilter’s Planner with tape, dab of glue stick, etc. A note about downloading PDFs: The download will open in a new tab in your web browser and you can download or save the file from that window. If you are on an Apple mobile device and are experiencing trouble downloading the PDF, try switching to a computer or deactivating your pop up ad blocker. 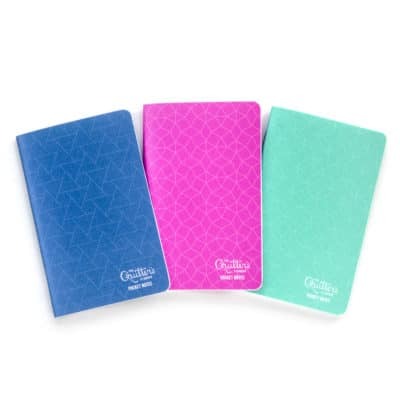 You must tag @thequiltersplanner on IG and @QuiltersPlanner on Facebook with your entry and use the hashtag #qp2019sewalong hashtag so we can track your entry. Fabric requirements for the pattern are listed for the whole project on p. 14 of the pattern magazine for the Hexie Snowflake layout and on the Alternate Pyramid Layout pdf. 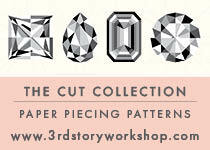 They are also listed per block in the magazine, if you do not plan to sew the entire sampler. The order of blocks in Hexie Snowflake Sample as shown on the monthly tab pages do not coincide with the order listed in the pattern, which is the order the sew-along will follow. Follow the order listed in the magazine. We have also created a complimentary page of DIY stickers for you to add to your planner. Find out how to use them and download the PDF here.